up changes but the core members Dave 'Depraved' Szulkin (guitars) and Eli Brown (vocals) remained intact. After twelve years since the release of their self-titled cult classic the band reformed with three of the original members in 2007. But unfortunately bassist and Dave's cousin Phil 'Dr. Phibes' Markonish passed away in 2010. Since then vocalist Eli Brown took over the bass duties and ex-Toxik drummer Tad Leger joined the band. Headless Eyes is the sophomore full-length release by the NY doomsters and it's every bit of a worthy successor of their 1995 self-titled masterpiece. It's filled with trademark Szulkin riffs, creepy somewhat uplifting psychedelic leads and 70's horror movie inspired atmosphere especially what Blood Farmers and Szulkin are known for. However, the biggest surprise of this record is the album closer, "The Road Leads to Nowhere", a cover of a song featured on the soundtrack of the 70's cult horror film The Last House on the Left originally performed by David Hess. It's a pretty well executed intriguing cover with acoustic guitars kicking in layered within spacey dream like psychedelic leads and Eli Brown's plaintive vocals. The song remains into psychedelic territory throughout without delving into doom metal heaviness. Although this cover may not come off as surprising to well acquainted fans of the band as Szulkin's association to horror movies and his bestseller book about the same film is no secret like I mentioned previously. so called new flock of doom bands should learn from it that how to write a long doom composition without sacrificing catchy hooks and remarkable variation tempo-wise. "Thousand-Yard Stare" is the most Sabbathy track of the album and it acts as a bridge between "The Creeper" and "Night of the Sorcerers" which are the usual Blood Farmers instrumental psych doom jams in the vein of "Twisted Brain" and "Awakening of the Beast". "Night of the Sorcerers" in particular begins with a hypnotic middle-eastern tinged clean guitar melody further delving into pounding doom riffs and trippy psychedelic solos. The album concludes with the aforementioned "The Road Leads to Nowhere". 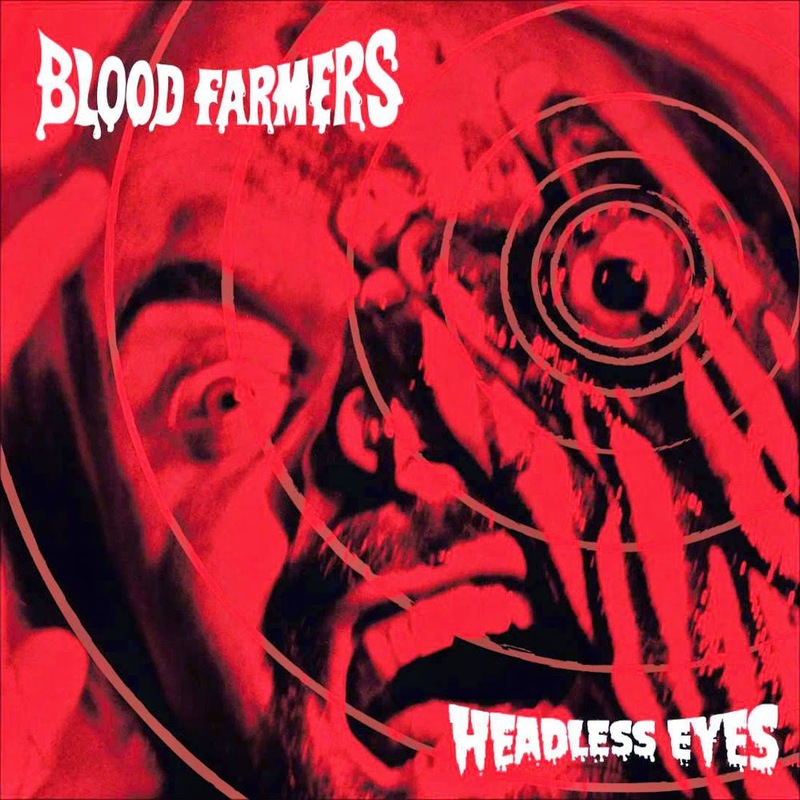 Headless Eyes is a triumphant return by Blood Farmers. It's a must have for doom metal fans and if you're into 70's horror and B-movies then it's a bonus. I just hope we don't have to wait two decades for its follow-up.